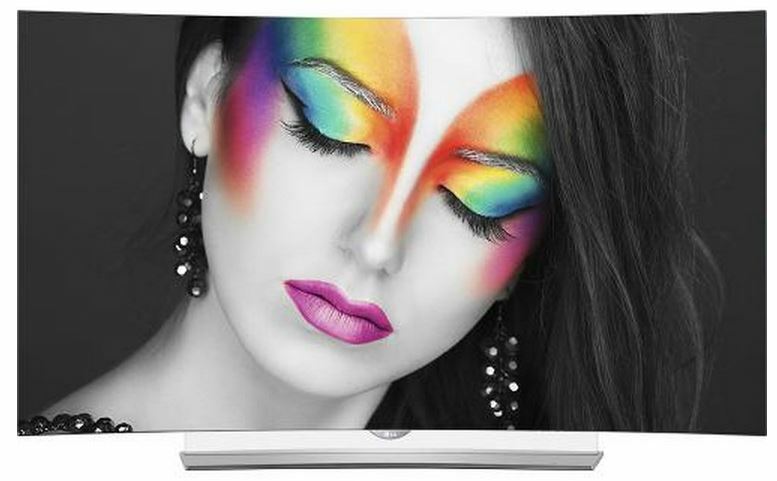 4K Archives - Touch Display Research, Inc.
Today, 3M, Nanosys and AUO announced that AUO will commercialize quantum dot TV with 3M and Nanosys’ QDEF by end of this year. 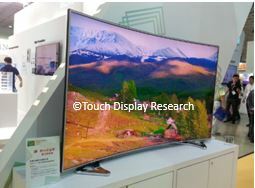 Actually, I saw the AUO’s 85” quantum dot TV last week at Touch Taiwan and IDMC (International Display Manufacturing Conference) 2015 conference. The 85” quantum dot TV won the Gold Panel Award at Touch Taiwan 2015 exhibition. 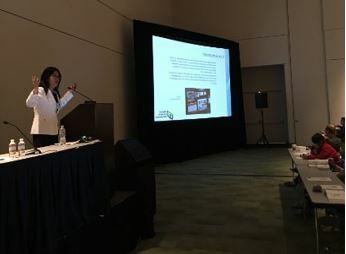 The impact of this news is dramatic, since AUO is a panel supplier, they could sell the QD TV panel to any TV brands. This will accelerate the QD TV’s penetration. 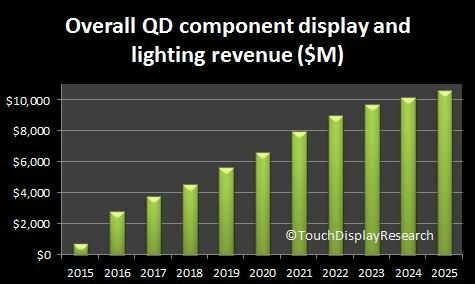 In the recently published “Quantum dot display and lighting technologies and market forecast 2015 report”, second edition, Touch Display Research forecast that the quantum dot display and lighting component market will surpass $2 billion by 2016, and reach $10.6 billion by 2025. This report profiles over 60 companies working on quantum dot materials and quantum dot components. 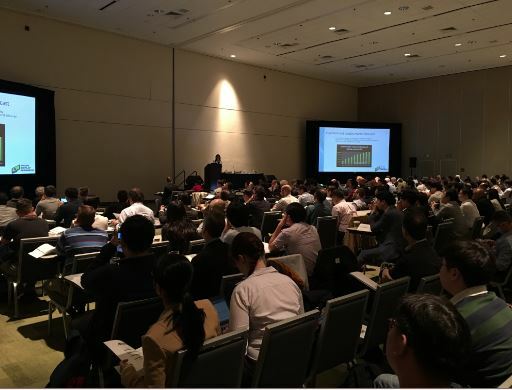 Quantum dot technology could improve Liquid Crystal Display (LCD) dramatically in terms of color gamut, color accuracy and reducing power consumption. 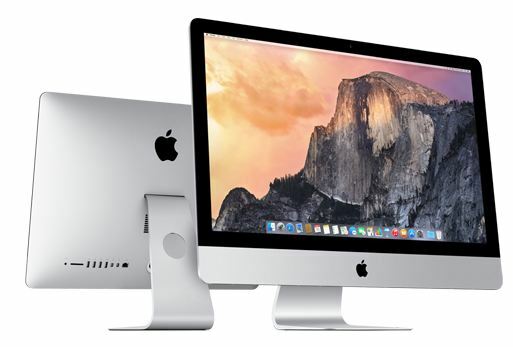 This is one of the biggest breakthrough technologies for LCD in recent several years. 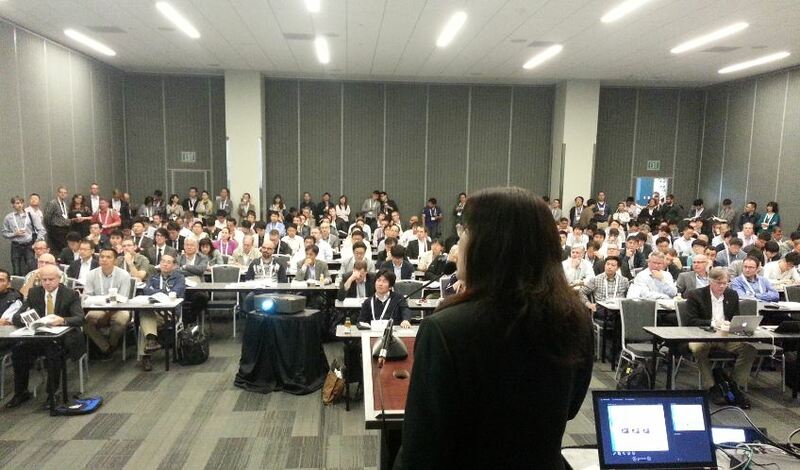 We forecast quantum dot components will have a rapid penetration into displays and lighting from 2015 to 2025. 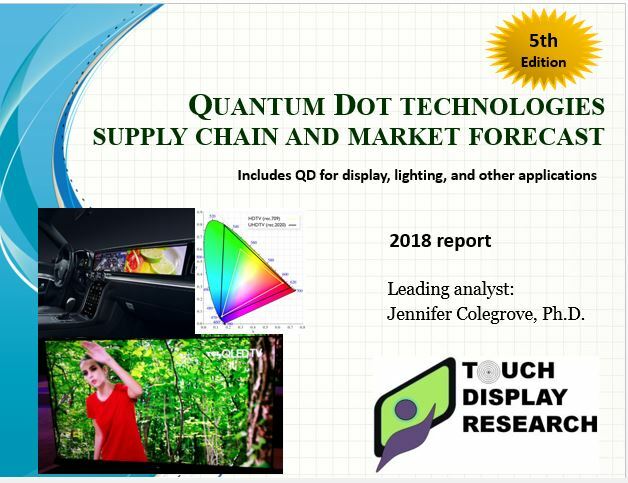 This entry was posted in 4K, Displays, Quantum dot and tagged 3M, AUO, Nanosys, QDEF, quantum dot, quantum dot display, Quantum dot market forecast, quantum dot TV on September 1, 2015 by jennycolegrove.